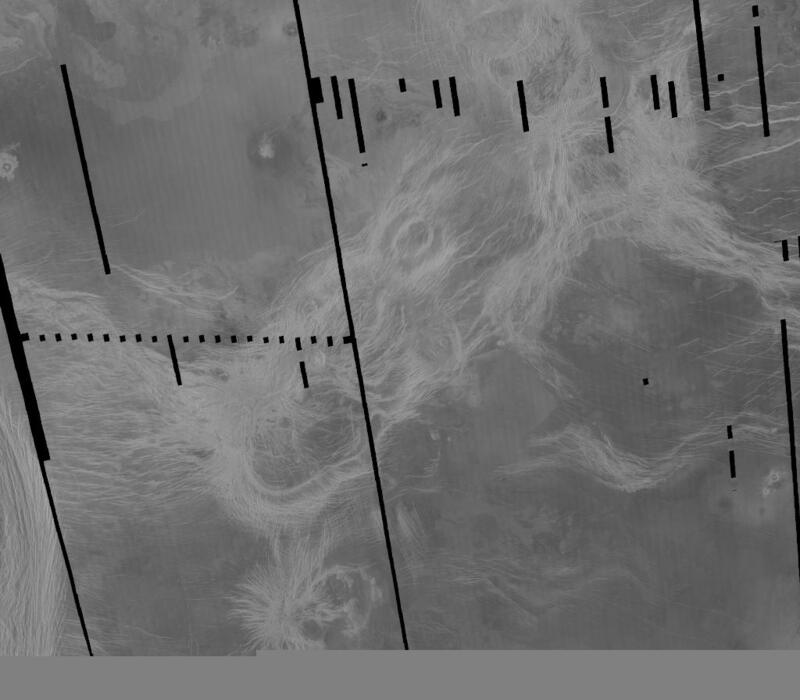 Doing Planetary Geology on Venus!! An in-class and at-home exercise! 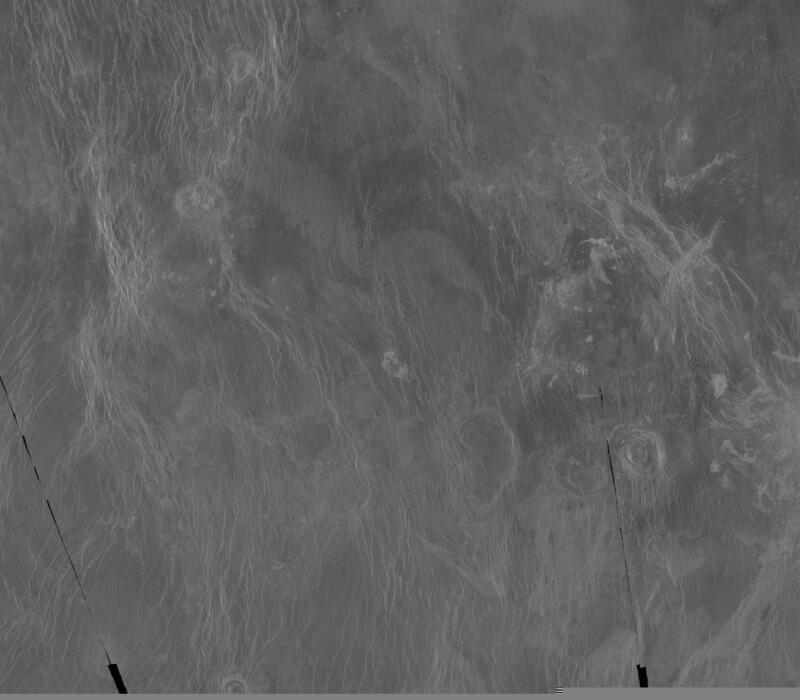 Features you've seen on other planets look a bit different on Venus, both because of the mode of imaging, and because of the different, hotter conditions. 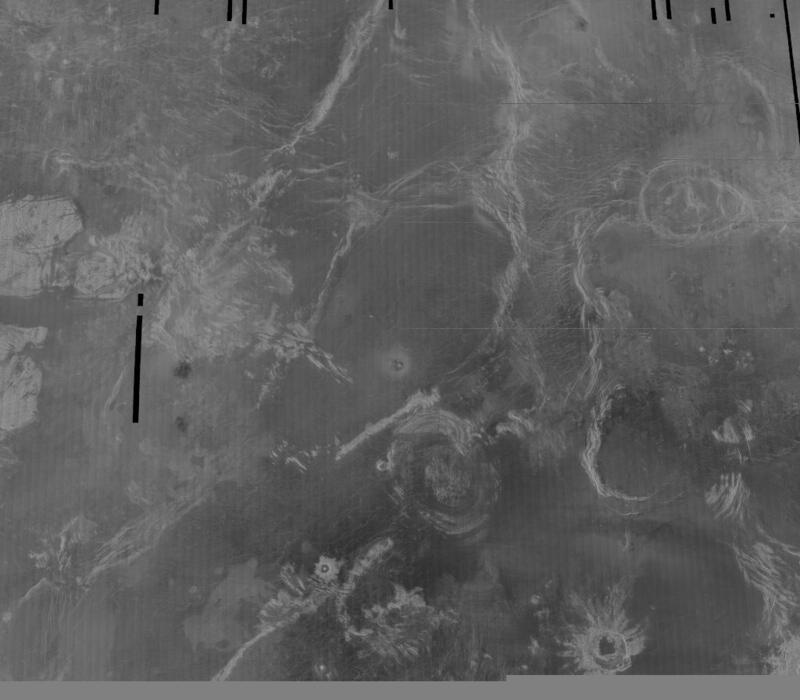 Craters on Venus are almost always dark in the center (due to impact-related melting in the hot Venusian environment), and are always surrounded by bright debris fields. 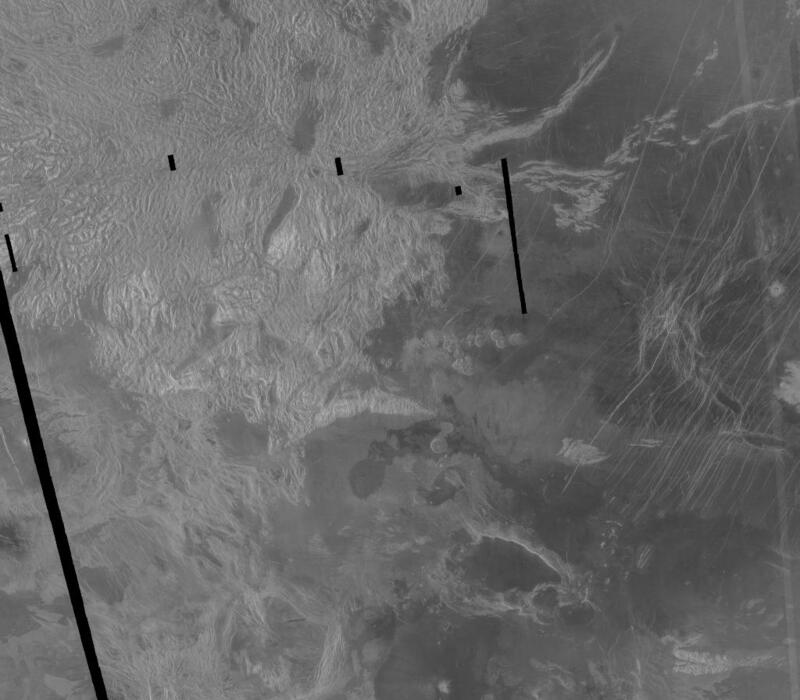 Volcanoes on Venus come in many sizes and shapes, and can generally be distinguished by the occurrence of sinuous lava flows emanating from them. 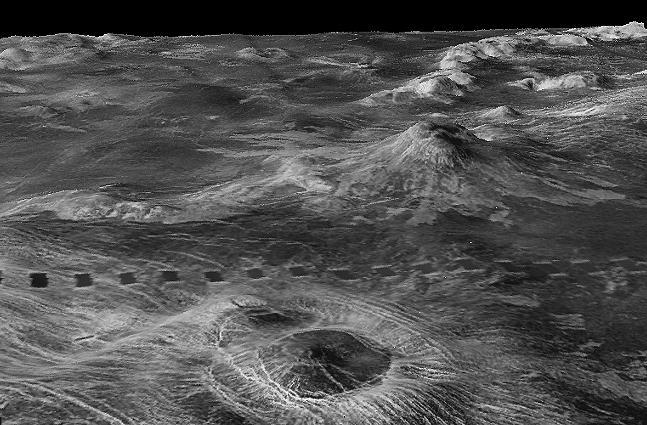 (Clockwise from the left: "pancake" domes, a Venusian shield volcano, a "tick", and a series of coronas with intermingled lava flows.) Lots of volcanoes is a characteristic of a large planet that is still hot on the inside. 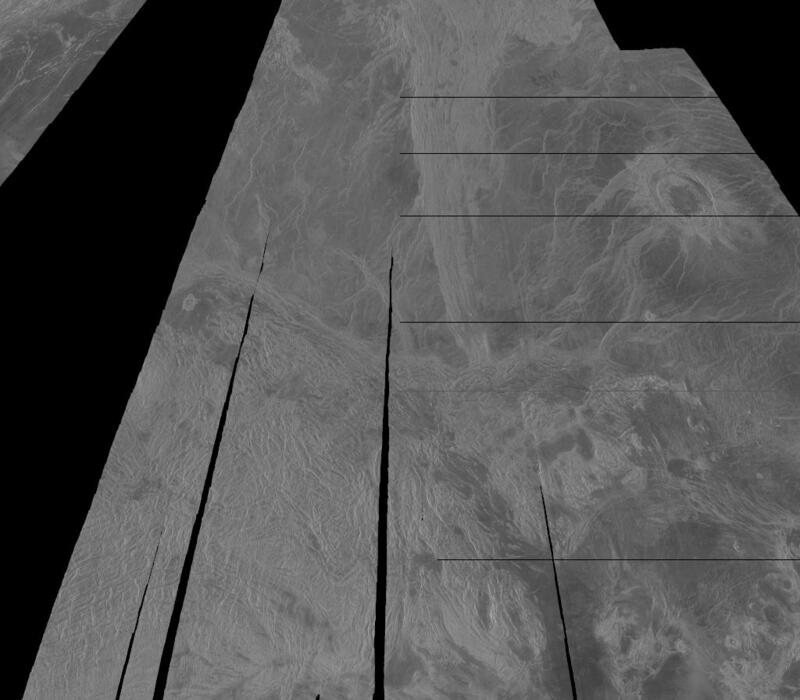 Tectonically altered terranes also occur on Venus, and typically look quite bright in the images because of their rough character. 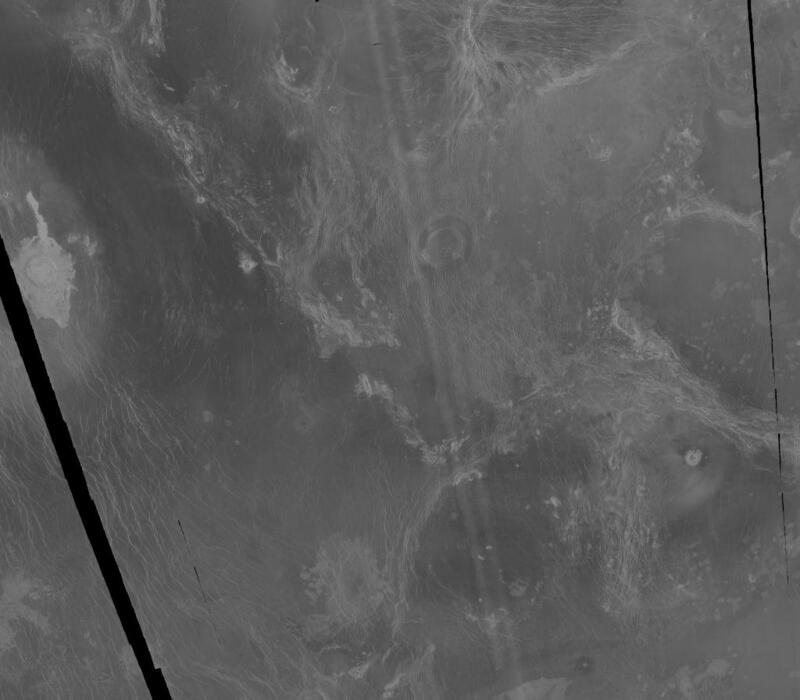 These terranes are usually on the Venusian highgrounds, and are thus called Montes ("mountains"). Extremely rough and rugged terranes are called Tesserae. 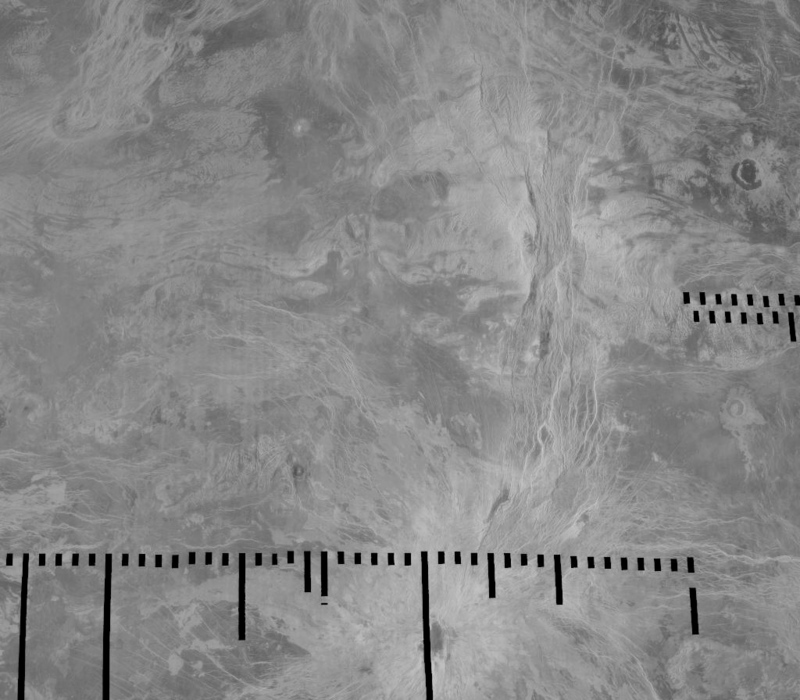 1) The number of impact craters observed. 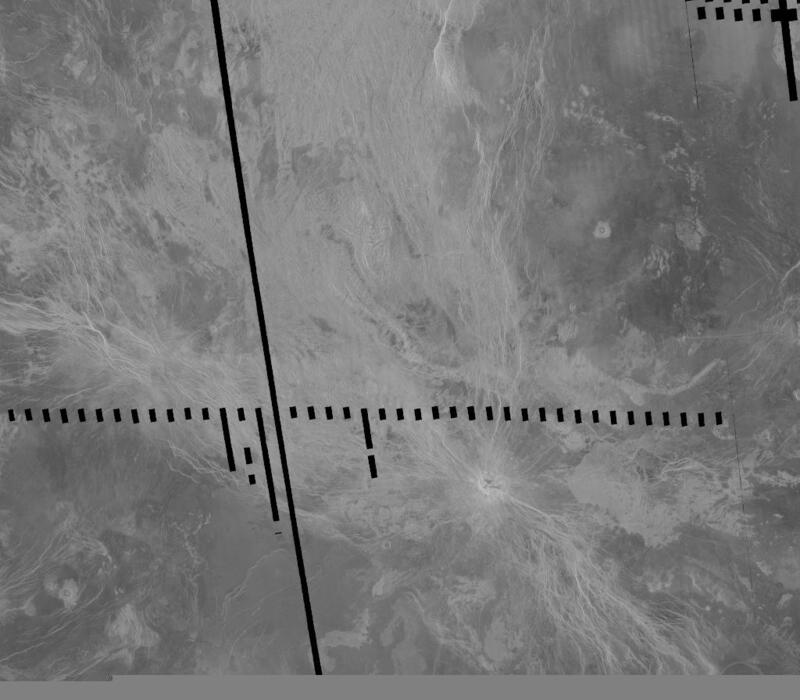 1) How old is the surface of Venus, as compared to Mars or the Moon? 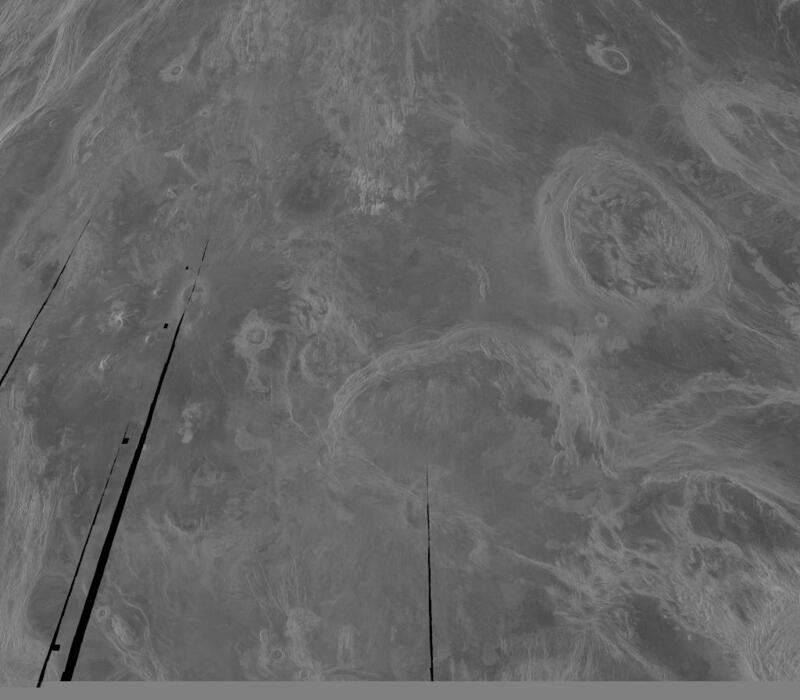 2) Is Venus geologically active today?